" Nick Cianci, 16, of Malvern, PA, started playing guitar at age 9 and has been studying and performing at the School of Rock since 2007. " 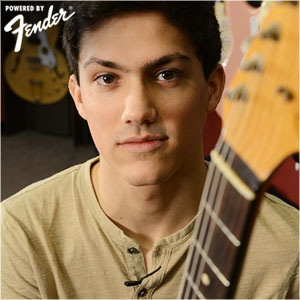 Nick Cianci, 16, of Malvern, PA, started playing guitar at age 9 and has been studying and performing at the School of Rock since 2007. 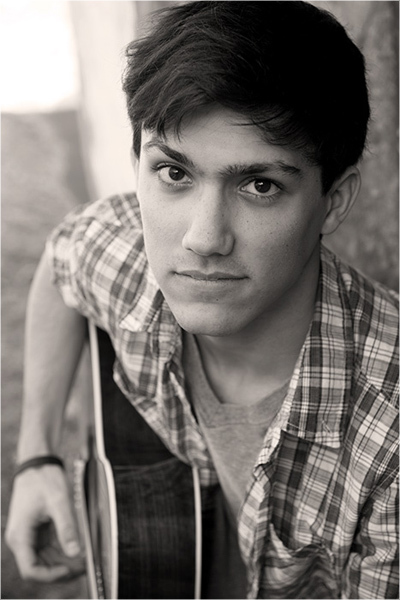 He has performed in over 60 shows there and has twice toured the East Coast with the School of Rock All-Stars. In 2011 he formed the blues/rock trio Riley Road, where he is the lead guitarist, vocalist and principal songwriter. The band’s self-titled EP in 2012 has received very positive reviews and the band has won five music competitions including the Beta Hifi Emerging Music Festival at the World Café Live in Philadelphia in August, 2012, which included over 200 bands. Riley Road receives significant radio play around the country including on WXPN, the leading college- based station in the U.S.
Nick has shared the stage with such guitar luminaries as Davy Knowles and blues artists Oli Brown and Albert Castigila. He counts Knowles, John Mayer, Warren Haynes, Mark Knopfler, and Eric Clapton among his major influences.